Golaem provides various way of making your characters navigate in a scene. This page provides an overview of the different methods and redirect you to the in-details tutorials. 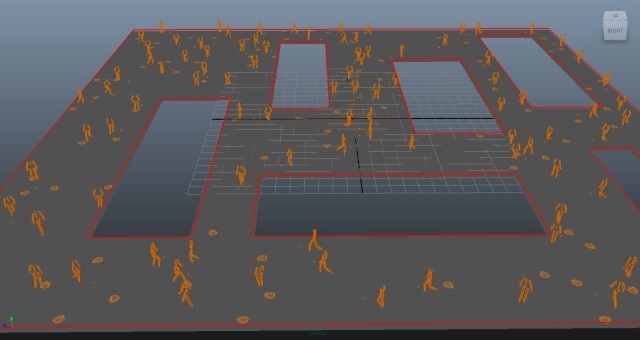 The Navigation and Goto behaviors rely on Golaem path-finding & avoidance technologies to make your characters find their way in your scene and avoid other characters. They are very quick to setup and can be easily customized (e.g speed, targets, ...). This is the "standard" way of setting up navigation with Golaem. Other methods are generally fitted to a few particular use case. While the Navigation and Goto behaviors are very handy, sometimes you want to control very precisely the trajectories in a given location of your environment. In these cases, Vector Fields can be a useful addition to a Navigation/Goto behaviors setup. The Navigation/Goto Behavior will make your characters navigate individually, but if you need them to navigation as a group, you need a bit of extra work. The SetFormation Behavior enables you to benefit from Navigation/Goto Behaviors while forcing characters to respect a given shape (global or per small groups). Can even take multiple shapes in input and make characters transition from one shape to another. 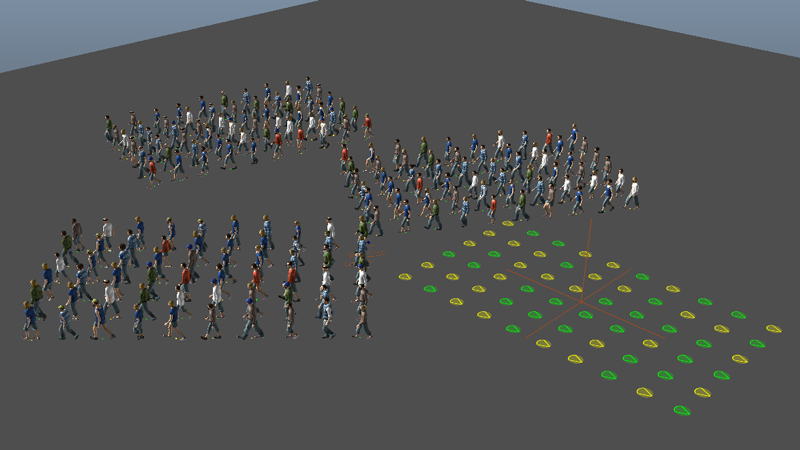 The AdaptPosition Behavior snaps your characters to another object (polygon, particles...). It is very useful when you want to keep a precise control over the character position, and may be an easier way to create a formation. Golaem characters are linked to a standard Maya particle (or nParticle) system. 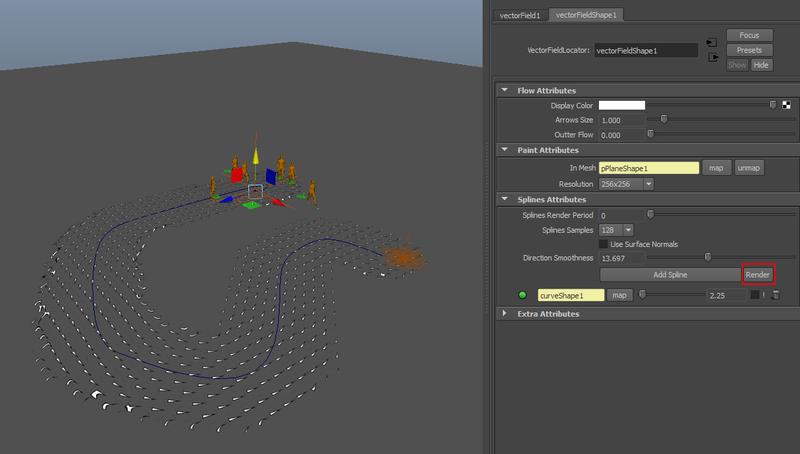 It means that you can control the move of these particles (hence of your characters) by using all the usual Maya tools. 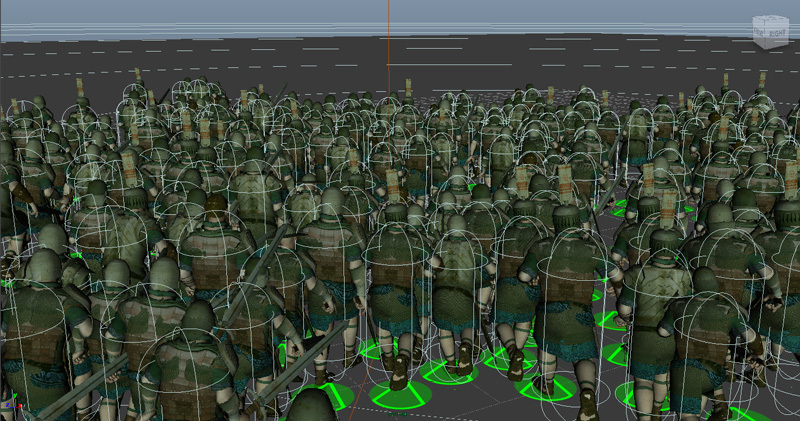 But if you look at individual characters, the result will probably be less realistic than with our navigation algorithms. Sometimes you do not really care about your character finding their paths (e.g you just want to play a "run forward" motion), but you still want them to avoid people in front of them. The character controller approximates Entities to capsules, then detects and resolves collisions the same way it would be done with nParticles. The very difference is that nParticles drive your character. Character Controller only reacts to collision but lets the Motion Behavior drive characters. 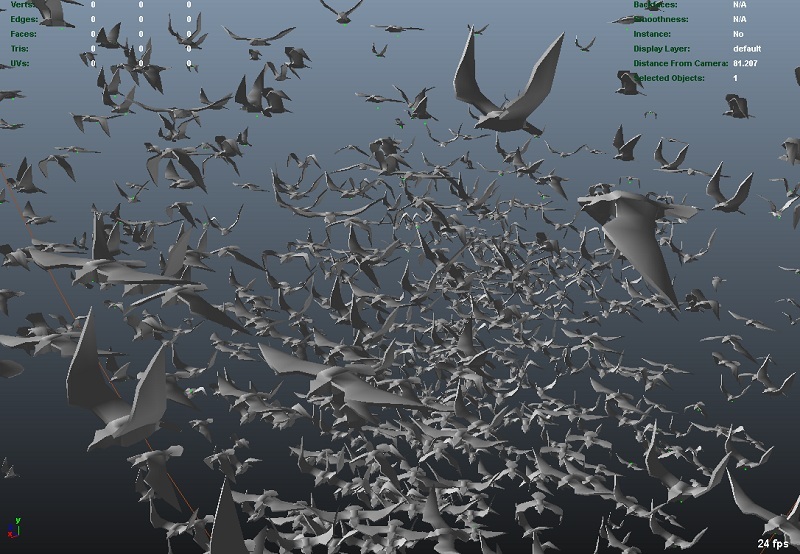 The flock behavior is more suited to spaceships, birds or fishes. 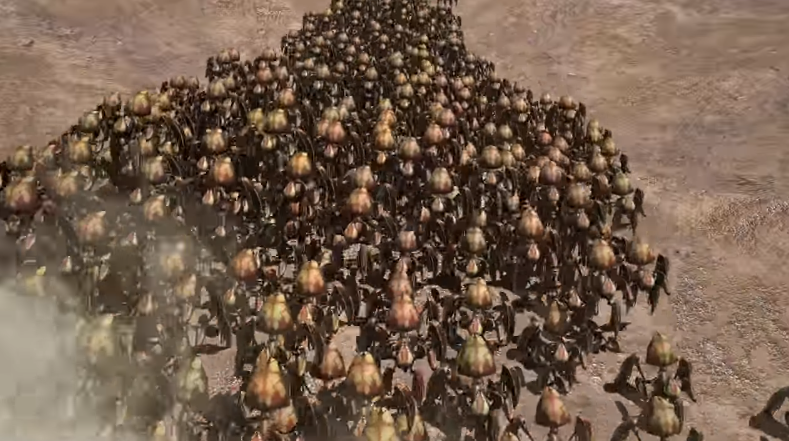 It makes your characters navigate in 3D, not just on a ground and computes the trajectories of your characters so that they can avoid each others while staying together as a pack.